1. 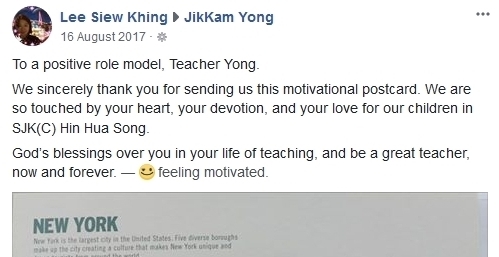 Cikgu Ashikin & colleagues read theirs to their students during their Merdeka Day assembly & recorded a video that moved me to tears! Click the link below to see the super cool teachers & their beautiful students! 2. 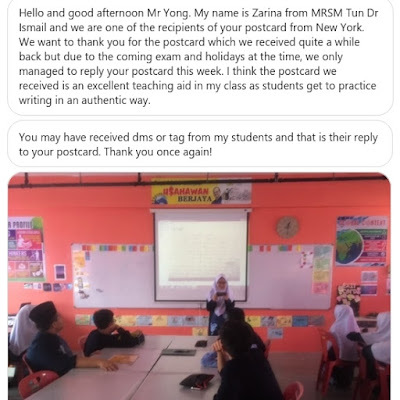 Cikgu Nurhazirah got her students to write adorable replies & the results were amazing! 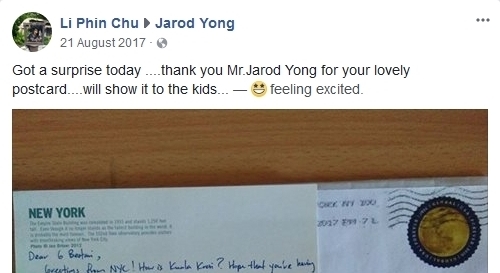 I responded to all of their replies on Facebook! 3. Cikgu Zarina had her students read the postcard & write group responses to me on Instagram. 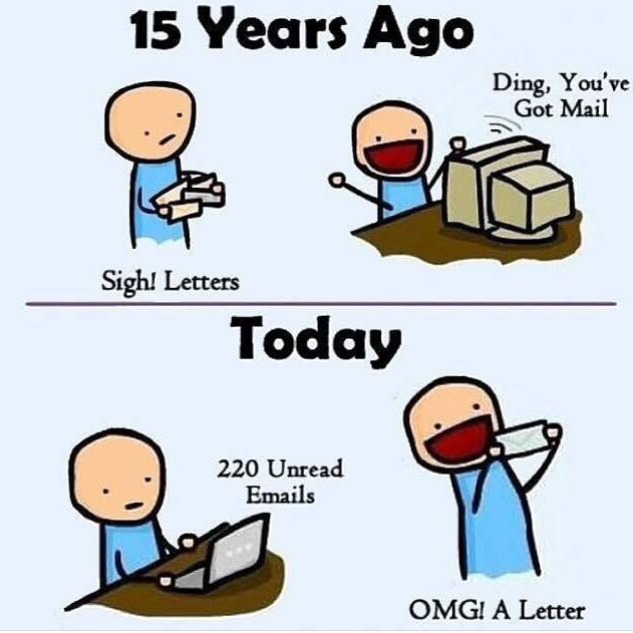 I replied all of them! 4. 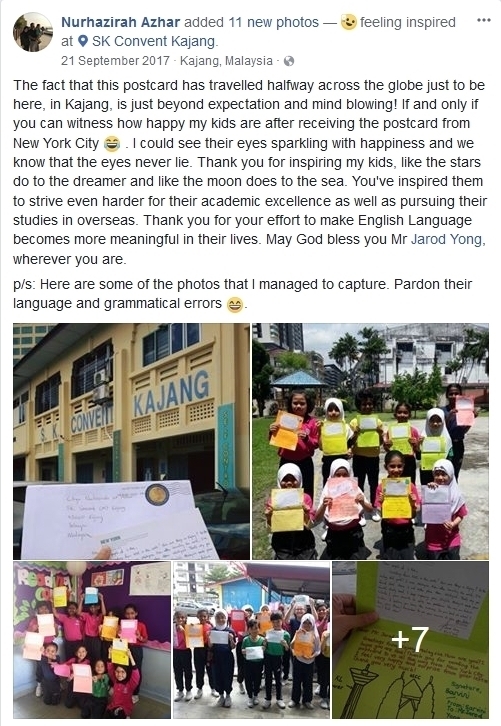 Cikgu Ho read the postcards with her class, got them to write replies & shared excerpts with me on Facebook, to which I responded! 5. 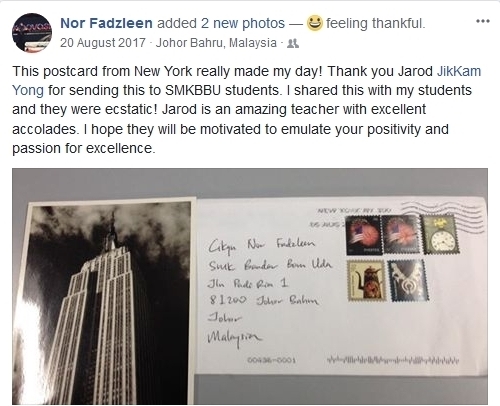 Cikgu Nessa read the postcard during class & got her students really inspired! 6. 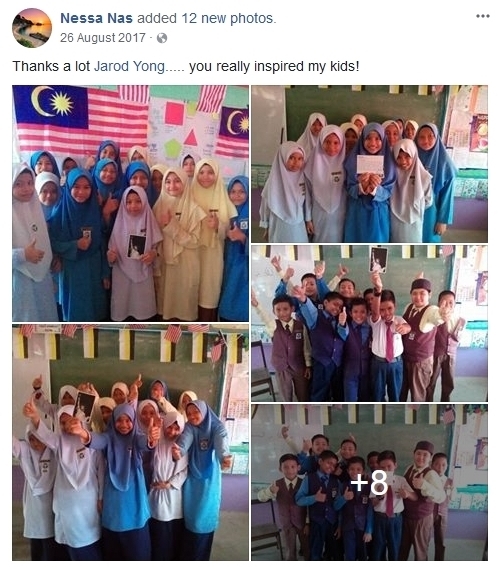 Cikgu Zaidah rewarded her Pendidikan Khas students who did well in their English assessments. 7. 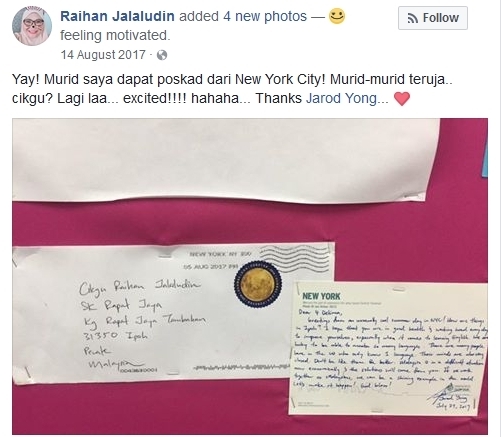 Cikgu Raihan placed the postcard on the school's BI noticeboard to share it with an excited & curious school population. 8. Besides the students, teachers from all over the country got really excited too! 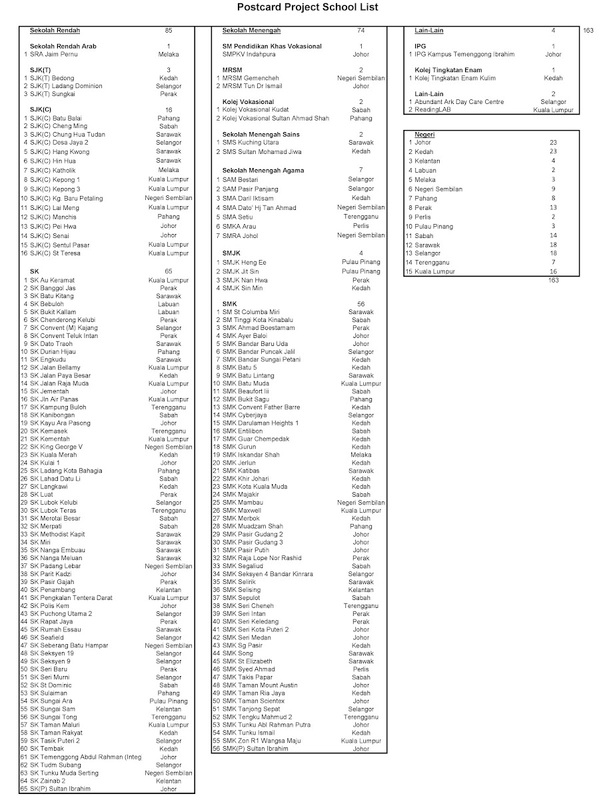 Here's a list of all 163 recipients! Being a one-man show, I didn't have the ability to send postcards to every school in the country so I had to figure out a way to prioritize. 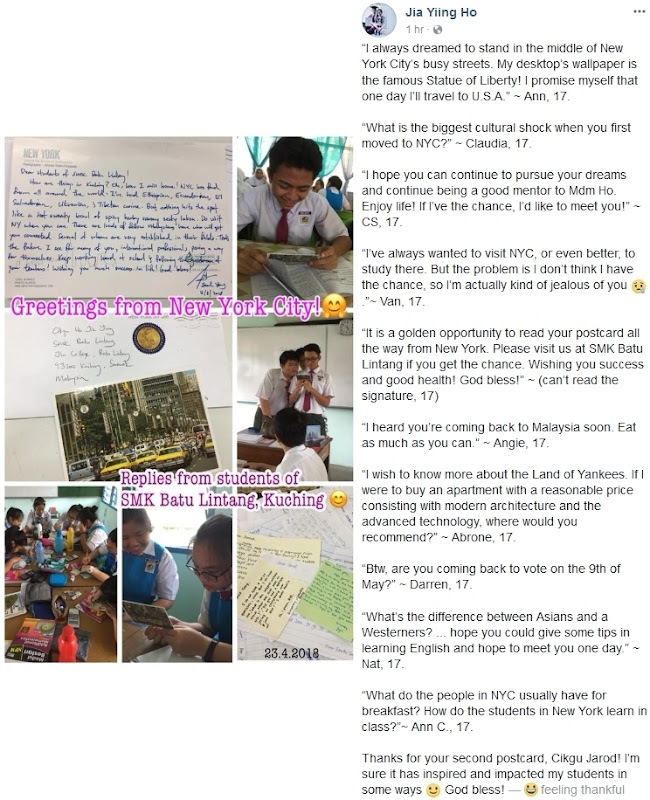 I asked teachers to sign up (because I wanted the postcards to be welcomed & used) & write a little something about their students (because I wanted to write a unique personalized message for each postcard). 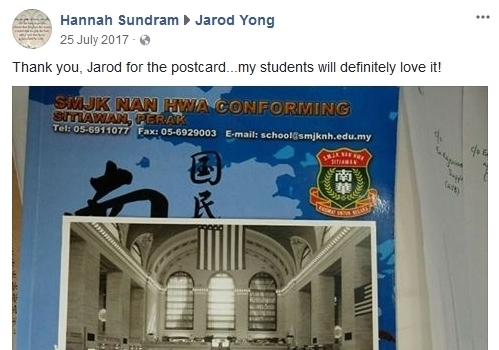 Every classroom is different so it wouldn't be effective if every postcard contained a generic message. The cost is real. I tried to do both quantity & quality, so it ended up costing me significantly. 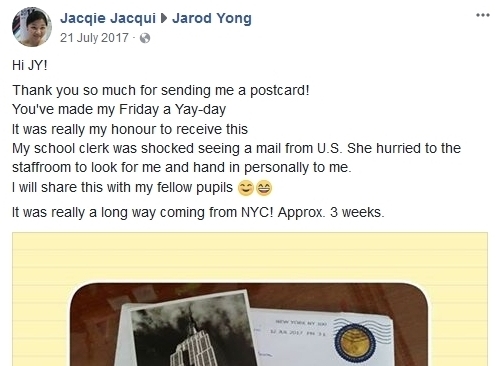 I spent an average of 15 minutes writing each postcard (read teacher's message + research about school + thinking + writing). That's a total of 2445 minutes = 40 hours & 45 minutes. Believe me, it's exhausting trying to learn about the local culture & write 163 different messages. 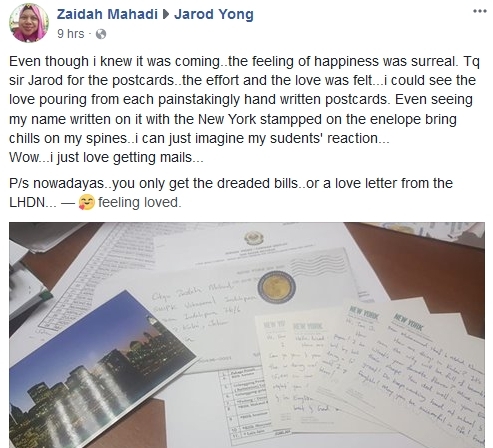 Also, the total cost of this initiative was $293.4 (Postcards $0.55 + Envelopes $0.1 + Postage $1.15) = RM1140.04 (at the current rate of 3.88/USD). Just like the star thrower, the time, effort & cost was worth it, even if for all my effort, only 1 child benefited. You will have to figure out what is realistic for you. Honestly, even if you are only able to do 5, imagine if all 55k students who are studying abroad did 5 each. We'd impact a nation. Let me know if you decide to embark on this initiative too! I'd love to hear your story! 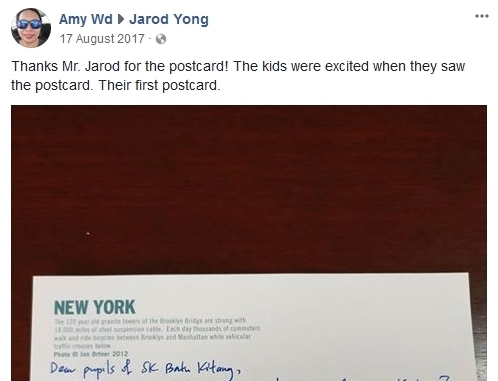 In the age of social media, why send postcards?